A former Circus performer with Ringling Brothers and Barnum & Bailey Circus. AmoraFire has been mesmerizing audiences internationally for over 15 years, and is considered one of the elite fire performers in the industry. Glitz, Glamour, Showmanship, & her Unsurpassed Skill Level along with her ability to engage her audience is what has made her so sought after. Let AmoraFire, "The Enchantress of the Flame" captivate your guests as she leads them on an enchanted journey through the beauty of the flame and the dangers that lie within. On behalf of the Mongols MC, I would like to thank you, (Mary), for the great show you put on for us. Everyone enjoyed it very much!! Also, the extra part you through in with our Mongols MC images, was top notch!! All of our Brothers thought that was the best, and our National President was blown away by your performance. I will be contacting you for future parties, and will let others know about you as well. More than just a fire show! I got to work with AmoraFire Productions for a celebration that we were having last year. We actually chose to the Hoop Dancer as the performer and she was superb! We will definitely be using their services again! Thank you for the experience! Thank you so much for your review! It was a pleasure performing for you. Looking forward for the opportunity to entertain you again! I am a manager for a student housing complex in Orlando by UCF area. We host large events every month for our residents. We often times seek entertainment that will keep our demographic excited. (Think college students ages 18-24, on average.) We hired Amora last year for our Mardi Gras event and liked her so much we decided to hire her again for our Carnival Festival. She never ceases to amaze us. Truly a treasure to work with. Amora always sets the house on FIRE! Amora is such an amazing performer! A consummate professional and knows how to excite a crowd, her smile and energy are infectious. From start to finish she has wowed the crowds at the OM Bar. We are so grateful to have had her perform both her fire show and most recently her new glow show to sold out crowds. She is the main event and you won't be disappointed. I HIGHLY recommend her. Thank you so much Mark for your great review! Om Bar and Chill Lounge is one of my very favorite places to perform and I am honored to be asked back year after year for your events! I've hired other performers for company parties before, but no one has had the professionalism and experience Amora did. Her circus background proves her a true expert in her field. She was prompt in answering all my questions -- not to mention my employees loved her performance! Would definitely hire her again and recommend to my friends! AmoraFire's fire manipulation act is not only soulful and enthralling, but will keep you clapping, cheering and on the edge of your seat as she defies logic and executes mind-boggling feats with fire. Her act can included Fire Eating, Fire Breathing, Fire Poi Spinning, Fire fans and various other props depending on your needs. AmoraFire is well know for her hypnotizing style, grace and beauty. The secret to her success is her passion, playfulness and ability to engage her audience. AmoraFire's passion for performance started back to her younger days as a street performer in New York City. 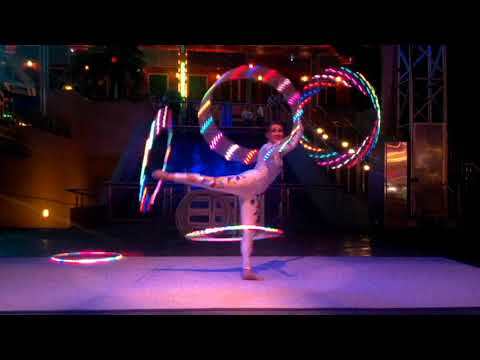 That drive developed into adulthood and led her down the path touring nationally and international with many shows including The Greatest show on Earth, Ringling Brothers and Barnum & Bailey Circus. While on tour AmoraFire was given the honor to extensively train in one of the world's most sacred ancient art forms, Fire Eating, Fire Breathing and Fire props manipulation. 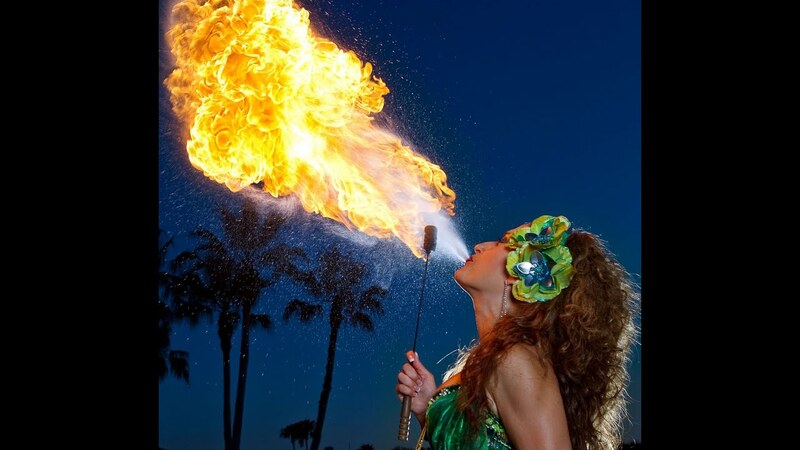 AmoraFire has been mesmerizing audiences with her fire act for over 15 years now and is considered one of the elite fire performers in the industry. She has graced the stage of many high profile venues and events, including Ripley's Believe it or not, Walt Disney World, Busch Gardens and Club Med just to name a few.